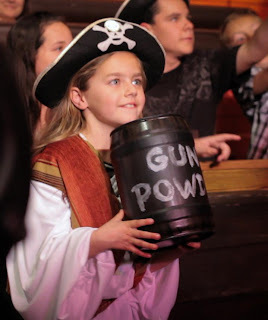 OC Mom Activities: Pirates Dinner Adventure - A Night Full of Fun! We were recently invited to check out the Pirates Dinner Adventure in Buena Park, CA (note there is also one located in Florida). If you are a fan of the Pirates of the Caribbean movies, the Pirates of the Caribbean movie or just Pirates in general - you are sure to love this dinner theater! It starts with a pre-show entertainment experience, I say this because there really isn't any other way to explain it. 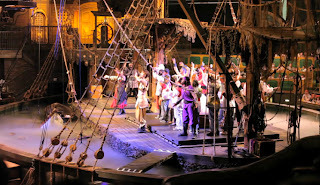 You'll be harassed by Pirates, have the chance to take photographs with Pirates and more before the show even begins. Be sure to have your Yo ho ho and arrrgs ready! Once the show is ready to begin, you'll be escorted to your seats where you pick your meals, enjoy you drinks and the show will begin. The seats surround a 250,000 gallon indoor lagoon with an 18th century Spanish ship replica. 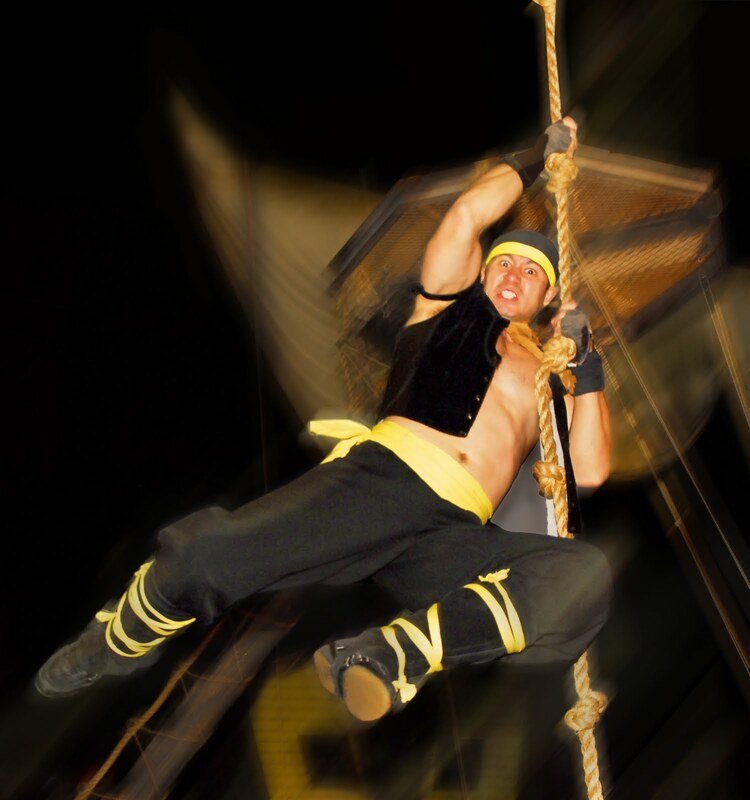 Be prepared for Pirates to be swinging from above and tons of audience interaction. My kids had an awesome time and we highly recommend any Pirate fans be sure to check it out! There are two dinner shows to check out - Curse of Poseidon's Treasure (the newest addition) and Captain Sebastian's Revenge (a classic favorite). For more information on booking your Pirate Dinner Adventure, you can head here. Ok... and I admit it... I was adding "arrgg and ahoy matey" to many of my conversations in the days after, but don't tell anyone!